One super lucky mom or dad is going to walk away from Winner Wonderland the proud new owner for the Beco Butterfly 2, one of the best front or back carriers on the market. Your Butterfly 2 will come with Only the Butterfly has the Y Panel, making is possible to transfer the carrier between parents without having to take your baby out of the carrier. If you want to see how wonderful this feature is, here’s a video of the Y Panel in action! 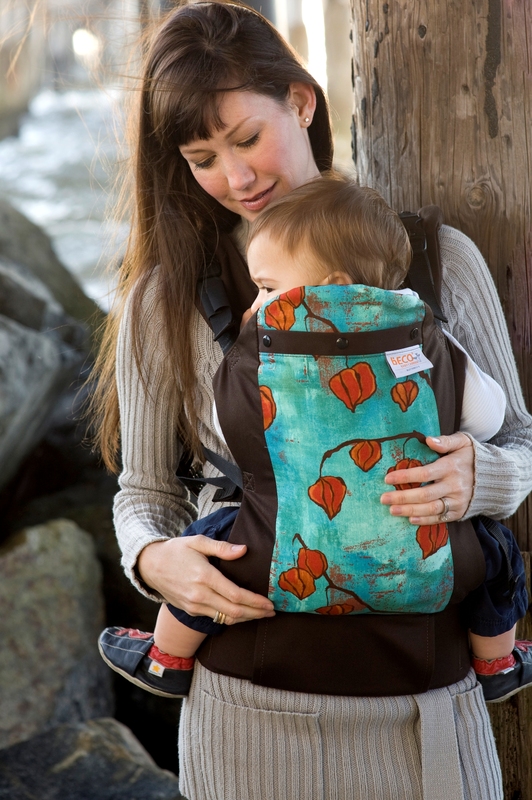 While many parents are fans of the direct contact between parent and baby, the unique style of the Butterfly 2 gives you added security that your baby is safely placed in the carrier. Here is another video of the Beco in action! Please understand that Put A Little Umbrella In Your Drink, Seeds of Life, And The Little Ones Too and Taking Time For Mommy, along with the “Winner Wonderland Event” bloggers are not responsible for sponsors that do not fulfill their prizes. However, we are responsible for contacting our sponsors regarding the winner’s prize at the close of the giveaway. We expect that our sponsors will fulfill their prize agreement and ship them to the winners in a timely manner.